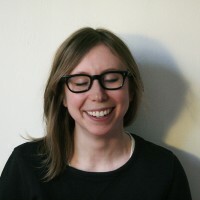 Jillian Goodman is an editor at Fast Company. She worked previously for New York Magazine, Vanity Fair, and WNYC's Studio 360. Her writing has appeared in Fast Company, New York, Slate, and The Los Angeles Review of Books. She graduated from Harvard in 2009, and now lives in Brooklyn.